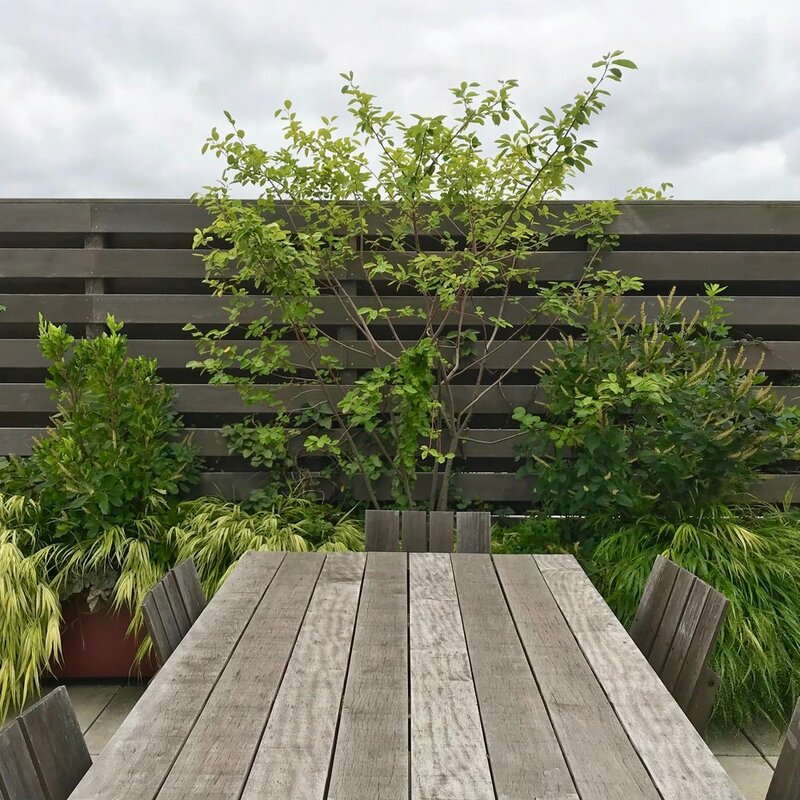 Design Wild has been caring for this exquisite meadow garden high above the west village for many years. 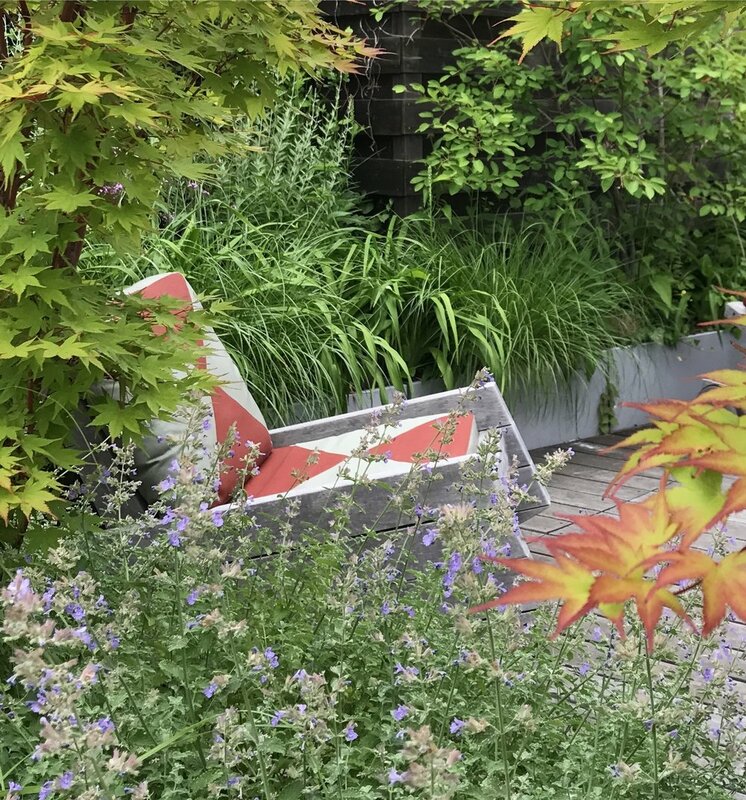 This lovely rooftop garden is full of wild beauty and insect-loving plants. With a base of native juniper, colorful maples, Summersweet shrubs and our native Serviceberry. 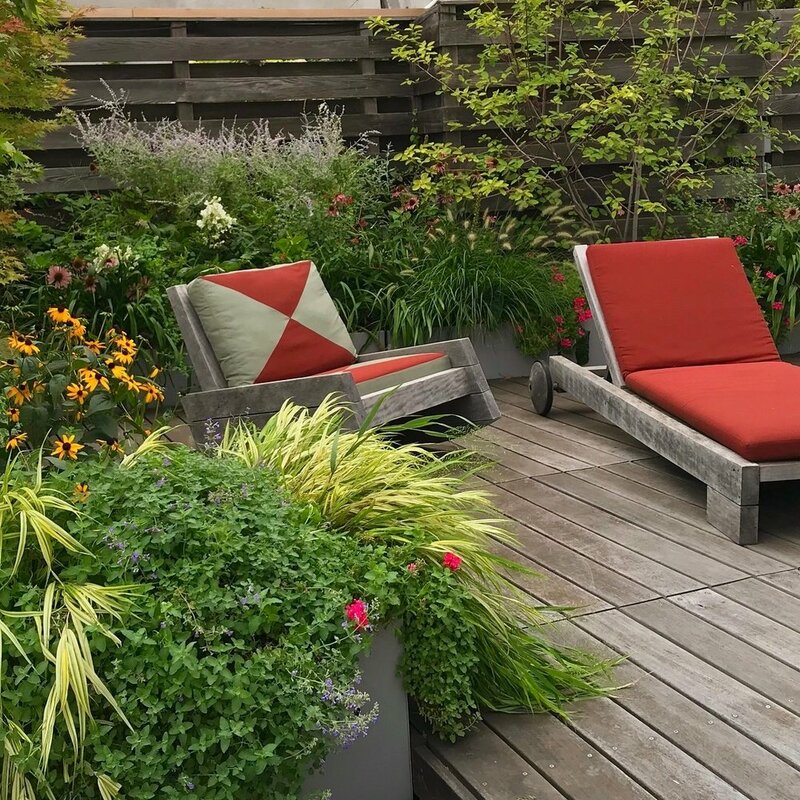 The rest is mounds and mounds of flowers including Catmint, ornamental grasses, Russian sage, Black-eyed Susans, Echinacea and a few classic daylilies. The butterflies, birds, and bees visit this 6th-floor penthouse all season long and even the worms are active all the way up in this sky location.